Quality tools feature shorter wood handles. Keeps hand and wrist in a neutral, stress-free position. Choose from hoe, spade or leaf rake. Now wheelchair-bound clients can also enjoy the pleasure and rewards of gardening. Quality tools with shorter wood handles make activity easier while keeping the hand and wrist in a neutral, stress-free position. Wood handles and steel ends in assorted colors (sorry, no color choice). 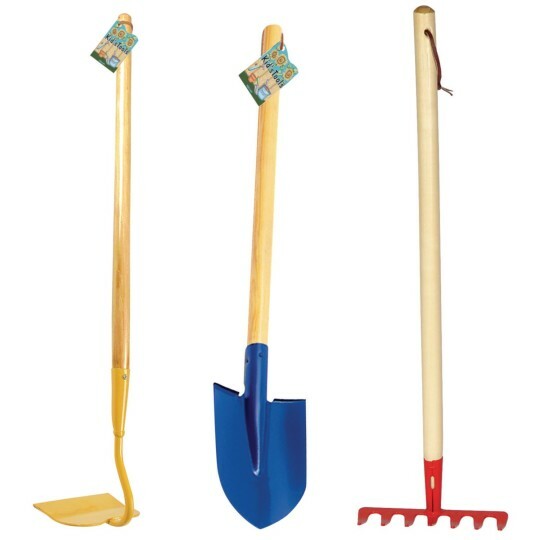 Choose from hoe, spade or leaf rake.